1. What is something you are very proud of? Why? Not just proud, but very proud. Hmmm. 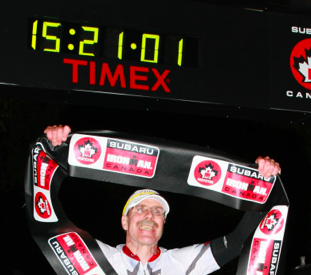 Finishing Ironman without needing medical attention (which was the primary goal) is one of the more recent ones. Being in good enough health (at the moment) to plausibly (I hope) sign up for a marathon at my advanced age is another. Both of which are part of changing my life to go from being a fat pudge, to being fit and active. Married for almost 30 years, though that isn't really my doing. I'm just lucky I haven't been traded in on a younger model. The first post was Oct 27, 2007. I link because this explains the why, and rather than type it all over again, I can work on this glass of wine. (Or pet a cat.) It will be interesting to see if anyone clicks on the link. Blogger thinks only 15 people have viewed that post. (If you believe anything Blogger says.) For the record, this post will be number 1670. The idea was to have my (then) coach track what I was doing, and a few other of his athletes. Other than the first post, many of the immediately following ones are very boring. It's only later I started ranting, and widening the topic base, and including photos more often. 3. If you could tell your 16 year old self something, what would it be? 4. You run, bike, swim, make wine, write, and work. What do you like most and least about each of these activities? I've always liked swimming. People talk about runner's high, but I've never had it. But I've had a swimmer's high, where it was easier to keep going than to stop. I don't get enough time to do it, and the skill goes away so quickly. Getting out and seeing the scenery go by at a reasonable pace. The rush of downhill at better than 85 Kph. Rain. Hail. Cold. Falling off. (Remember the teeth?) Search the blog for "graphic". Having my knee or low hurt while doing it. Or anything else. I was a slow convert to running, and I'm still slow. (But who cares! Channelling Ruby Rod.) I've come to love it, even without the runner's high. I miss it when I can't. Best place to run so far? Bermuda. Sometimes my knees are cranky. By now you'd think I'd be faster. There is work writing, and fiction writing. I did NaNoWriMo almost on a whim, and was really pleased I pounded out the words to win. (I'm still revising, that's much harder.) I love the process of putting words together to say what I want, in as few words as possible. Or in fiction, to create a mood, or characters, or a scene that will add to the book. Ummm? Having to type with two hands, which takes away time to hold a wine glass? Voice recognition software that cannot cope with the way I talk. I'd always wanted to try it. Drinking wine was a rarity as a young adult. When I bought it I could never rememer what I liked last time, and never really remembered what it tasted like. Now I get choices. I can taste them in my mind, and compare them to the smell of whatever Linda is cooking. Some people complain about cleaning the glass, but I find it a very soothing activity. There's nothing I don't like. I am very fortunate in my work. What I do is a bit of an obscure niche that is difficult to explain to people, since it doesn't fit any of the common slots. But I'm very good at it, and I've only evere met one other person that does it. I like diving into a new database and figuring out, then explaining it to people. I like listening to people tell me what's wrong with their database, and then I'll tell them how to fix it. I like drawing process diagrams. I like explaining things to people. I'm still spending a bit more time than I'd like in the office, but I need to make hay while the sun shines, as the saying goes. There are retirement savings to be pumped up. 5. What is something you are afraid of? Why? 6. What is my greatest joy in life? I am a simple creature. Having some time to enjoy some peace and quiet, a glass of wine, a peanut butter and honey sandwich, fresh chocolate chip cookies, a purring cat. 7. What is your greatest challenge in life? Having patience when those around me are not keeping up. Sometimes it's a case of them needing to walk faster. Sometimes it's thinking faster, or thinking period. (This does not apply to the handicapped, of course. They have their own challenges, and deserve all the patience they need.) Sometimes I'm the slow one, and appreciate the patience in others. This does not apply to activities where the plan is to do something slower for a reason. A long slow run. A trial run through a design where we are trying to think of all the applicable cases. Appreciating a glass of wine. 8. If you were stranded on a desert island with someone, who would it be? How would you occupy your time? Some really smart engineer, or person with the skills to get our asses off the island and back to civilization when we were sick of the sand, or the wine ran out. Making preparations to get off the island. 9. Where is your favourite place on earth? Why? Once upon a time, my father's family had 4 homes all in a row in Chilliwack, fronting a small farm. My aunt B (actually she was my grandfather's sister, I believe) had a big old fashioned home at one end of the row. She was a wonderful baker and did several birthday cakes for me in specified shapes. I remember an airplane (recognizably a DC-3) and a big ship. Her driveway had a loop at the back of the house. In that loop was half a dozen big fir trees, festooned with holly. I can remember the smell now. Not even a stone's throw away was a bit of a playground jungle gym thing, and a zip line. I had many happy childhood hours there playing with my cousins, roaming the farm and getting in all sorts of mischief. Very seldom do we know we are doing something for the last time, or seeing someone for the last time. I clearly remember walking that area as an adult once, knowing it was the last time I would see it as it was. Of course it's all changed now. Now my favourite place is at home. 10. What is something you would like the rest of the world to know? I have a book for sale! Buy my book! Please! No, wait, that's not quite yet. Soon though, I hope. Stay tuned. 11. What is something you've never done, but would like to try? I take it nobody wants to hear about the tall, twin, willing redheads, with some massage oil. Ahem. For a while I wanted to try skydiving. That has since been relegated to the list entailed "Damn fool things to try when there are no better alternatives." Probably top of the list now, is signing a publishing contract that pays me a lot of money. In other news I water ran a half hour with Katie and stretched. The pool was empty. This is the week to swim every morning, but that isn't going to work out. I miss the year when I wasn't working, when I swam almost every morning. It's a great way to wake up. My knee is feeling really cranky tonight. Downstairs in a little bit to stretch and roll. Wow, awesome questions and awesome answers, Keith! I now know so much more about you. Now I'm off to click that first blog post to see how it all started. According to Blogger, 5 more people have checked out that first post. Yay them! Always happy to please my readers. Glad you liked the answers. Hi Keith. WOW! I'm glad I asked. I really enjoyed personalizing those questions and I LOVE your in-depth answers! Process diagrams ugh! There is nothing that makes me more antsy than that. Seniors homes ugh! I agree with you, it's not something I look forward to. I pity the people in the same home as me when all the memories I have been holding at bay come flooding into my mind and I can no longer hold my tongue. I told hubby already to pick a different home. Cookies and cats are awesome! Your sense of humour is just as evident in your first post as in your more recent posts. When I look back at mine, I see I was very cautious about what I wrote in the beginning. Taking risks doesn't always garner new friends but at the end of the day we can live with ourselves and know that we are honest, genuine and authentic. I'd rather read this than "fluff" and "filler." I just had to quote you on twitter: "Very seldom do we know we are doing something for the last time, or seeing someone for the last time." But process diagrams are awesome! :-) Just reread part of that. Missed a word (low BACK) and one spelling mistake. Maybe the dementia is setting in. I hope work doesn't notice. Life is too short for cautious. Glad you enjoyed! Love the questions and the answers, Keith, and your first post was great. Mine was hopelessly earnest, as I recall. Wonder how my blog would have turned out if I'd started with a bit more levity. Guess I'll never know. Anyway, thanks for sharing all this. Makes me even more eager to met you in person this fall. Have a great day!